A man appeared in crown court today (Tuesday March 15) charged with the murder of a teenager in Chichester. 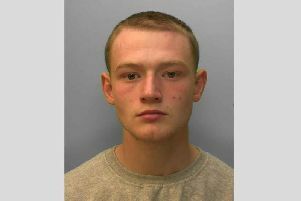 Samuel Morgan, 19, of Adelaide Road, Chichester, appeared in Lewes Crown Court this morning charged with murder and possessing an offensive weapon in a public place. He will next appear in court for a plea and case management hearing on May 26. Should he plead not guilty, the trial date has provisionally been set for August 8. Luke Jeffrey, 18, from Linden Road, Bognor Regis, was found with serious stab wounds near the junction of Alexandra Road and Lewis Road, just after 9pm on Friday evening (March 11). He was initially taken to St Richard’s Hospital in Chichester and then transferred to Southampton General Hospital where he died at around 1am on Saturday morning (March 12). A 20-year-old man from Chichester, who was arrested on suspicion of murder at around 4am on Saturday, was released by police on Sunday afternoon, without charge.